Help build cultural exchange in your community. Host a student from your sister city for an academic year or semester under our J-1 Visa High School Homestay Program. The High School Homestay Exchange Program is an opportunity for member cities to host students from their sister city for a year or semester of high school in the United States. As a U.S. Department of State-designated sponsoring organization, Sister Cities International can process the J-1 secondary school student visa. The international cities choose the high school students. The United States-based sister city will provide oversight for the student, recruit a host family, and include the student in sister city activities. I would like to study in my city’s sister city in the United States. How can I apply? In order to apply to the High School Home Stay Exchange Program, the partner city in the United States must first have an appointed Local Coordinator, who will help recruit host families and coordinate student placements in local high schools. The Local Coordinator will also help reach out to volunteers in your city (International Coordinators) who can help with the application process. To find out if your partner city has a local coordinator in place, please use our City Search tool and reach out to the main point of contact listed on the city’s page. If a Local Coordinator has been appointed, they will send you the application materials. What kind of medical insurance will I need to participate? SCI will provide all student applicants with medical insurance coverage during their time in the United States. The coverage fees are included in the application fees. Information about the insurance policy will be available soon. Are there any English language proficiency tests that I will need to take? Every applicant will need to take the English Language Test for International Students (ELTiS) test. Fee for academic year (includes insurance). Fee for asemester (includes insurance). SEVIS fee: $180 (visa fee paid online upon registration in the SEVIS system, a government database that contains information about international students and exchange visitors in the United States). Airfare: cost varies (purchased by the student). Other costs not covered by the program (spending money, books, school registration fees, etc.). Students must be between ages 15 and 18½ to qualify. Local sister city programs will have the autonomy to choose their participant(s), recruit host families, coordinate school placement, and monitor the student while he/she is in the United States. Host communities must be Sister Cities International dues-paying members. April 1: Selection of Local Coordinator (by United States-based sister city member). April 1: Selection of International Coordinator (by international sister city). May 1: Submit a full application form for fall semester or academic year (by International Coordinator and student). June 1: Submit payment to Sister Cities International. October 1: Submit a full application form for spring semester (by International Coordinator and student). Are you passionate about nurturing international exchange in your community? Apply to be a Local Coordinator for the High School Homestay Exchange program. 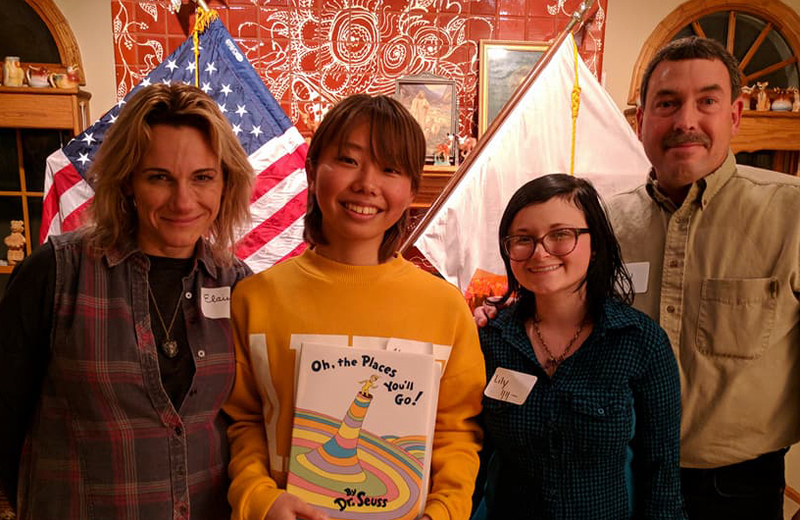 Local Coordinators play a vital role in ensuring that students have a safe and enjoyable experience during their exchange in the United States. They recruit local host families and help place students in schools nearby. After successful completion of the program, Local Coordinators will receive a stipend in the amount of $525 per academic year student and $425 per semester student. Sister Cities International is a member of and has been granted full listing status from the Council on Standards for International Educational Travel (CSIET) for the 2017-2018 academic year. CSIET is a not-for-profit organization committed to quality international educational travel and exchange for youth at the high school level. 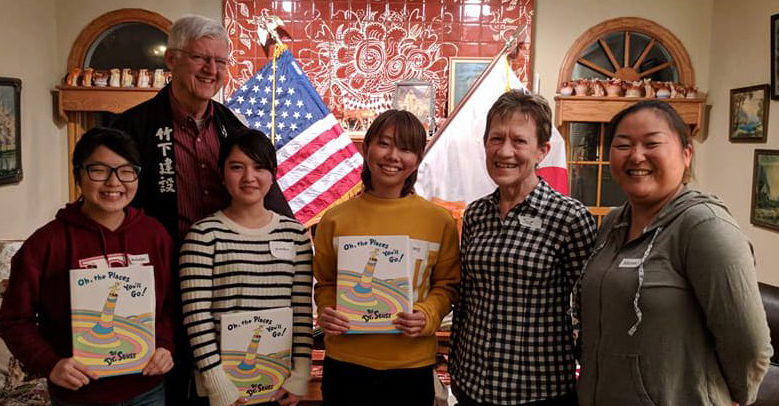 The High School Homestay program is at the heart of Sister City International’s mission of creating bonds between people from different cities around the world. In addition, the program benefits host families and local school communities. Students frequently report that their experiences are “life-changing”, and indeed they often make friendships that last a lifetime. For more information on the High School Homestay Exchange, please email Alyssa Fox, membership manager for youth programs, at afox@sistercities.org.